What Does a Rubber Roof Maintenance Inspection Involve? When it comes to ensuring the safety and maintenance of your rubber roof, we recommend you carry out an inspection at least twice a year. The best seasons for this are either Spring or Autumn, when the weather is more mild. Also, it would be a good idea to carry out your inspection soon after either rainfall, high winds or hail, because this will help you check how well the water is draining away. But what does a rubber roof maintenance inspection actually involve? The best way to start is by visually checking your roof. Look out for any obvious tears, punctures, sagging or holes in the membrane – anything that stands out as a problem. A lot of the time, issues with your roof can be solved by a simple visual inspection. Check the drains and gutters for debris, such as sticks and leaves, and make sure you remove this before you check they aren’t clogged. This will ensure water is passing through properly. Keep a close eye on the insulation below the rubber, which may indicate evidence of a leak when stepped on. This is the first step of your rubber roof maintenance, which is simple to carry out but a crucial part of the process. In many cases, rubber roofs leak because of separations in the seams. The seams are found where deck sheets overlap, and if not installed correctly may fail over time. 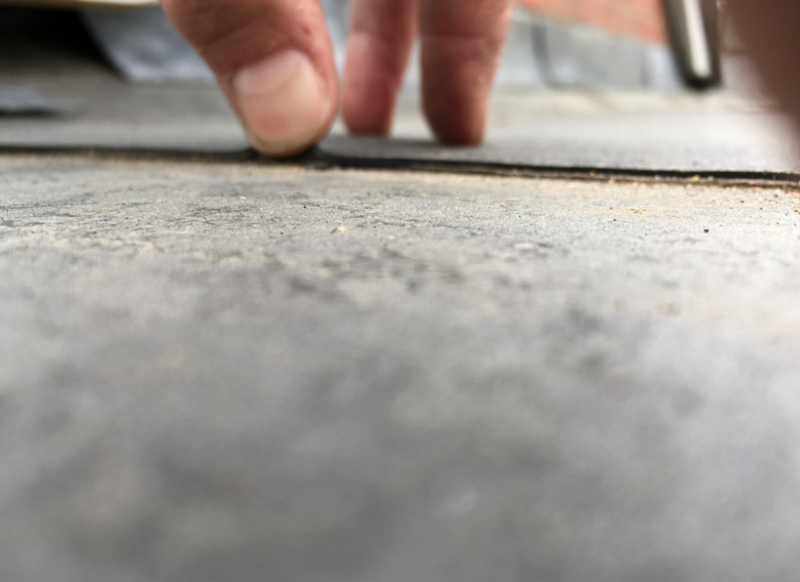 Other areas of your rubber flat roof that may be vulnerable to leaking are the transitions between the deck sheet and parapet wall or where any upstands require the use of flashing details. Durability and adhesion of your roof’s seams and flashing tapes are affected by the present temperature and moisture during their first installation. It’s really important that you check for separated seams and inspect areas with flashing tape details, to find the source of any leaks! Another critical place to inspect is your roof’s penetrations and seals. Although they only make up a small part of the total roof, a large number of leaks are caused by issues at these places. Pipes and flashings, usually surrounded by sheet metal, make up penetrations, as they are areas that technically ‘penetrate’ the roof. What you’re looking out for in these areas are any cracks or lifting of the flashing details, which may not be a problem at first, but as water floods into them and freezes, ice will expand the crack until it is deep enough to allow a leak. Blisters and splits are further things to examine during your rubber roof maintenance inspection. Blisters are areas that appear like bubbles, or an uneven surface. This either indicates moisture trapped under the membrane, or, more commonly, an installation error. The best thing to do if you find a blister in your roof is to seek the advice of a roofing contractor. Splits are most often a sign of poor building structure, or the poor installation of insulation. Shifting or movement inside a structure, even if its membrane was installed correctly, could cause a split. This will most likely cause the flashing in the area to fail, meaning it is crucial you keep an eye out for this complication. It’s so important to look after your rubber roof, not only extending its lifespan but also ensuring the safety of your home. For health and safety reasons, we recommend getting a professional in to inspect your roof, but first you must ensure access to the roof is safe and secure. We hope you’ve found this blog on rubber roof maintenance helpful. For more advice, why not take a look at some of our other blogs? Alternatively, if you have a question about roof maintenance, please feel free to get in touch. What are the Differences Between FiberTite and Standard PVC Membranes? Check Out Our New FiberTite Product Range! How Can a Rubber Roof Add Value to Your Home?